An up close and personal look at the various bloggers that make up the Houston Food Blogger Collective. Our collective highlights the diversity that is Houston, through food and beverage, travel, cooking, fashion, photography and so much more. Click below to learn all about our dynamic collective. Our mission is to share the world as we see and experience it. Throughout our travels, we conduct exclusive interviews, give destination-specific travel tips and provide our takes on the best food and drinks. One of the best ways to learn a culture is through its food. At Brunch & Conversation, you'll find quick and easy information about some local, national and international places offering great food, service and ambiance. I am an educator by profession, foodie on the side. I love to cook, and specialize in creating dishes from scratch. At the same time I encourage those I meet to practice and learn to love the art of cooking as much as I do. Sharing how to cook Chilean food with American ingredients you find in your supermarket. Challenging you to try exotic fruits like lucuma or maqui, and our favorite cereals wheat berries and quinoa. Welcome to my South American kitchen! I share items & recipes that readers can be inspired through step by step photos resulting in finding inspiration in food. Sharing yummy food photos in Houston & when I travel. "JustCucIt" was created to share recipes and stories with my followers. Spoonrise Kingdom is an IG meant to spread the word to the public about the great food finds we come across. Our goal is to keep things simple and make it relatable to people who aren't foodies but who just enjoy good food. An objective source of information about Texas barbecue, pitmasters, pitmakers, destinations, events and related subject matter. The Hunger Janes is the food diary of an avid traveler and native Houstonian with an incredible passion for food and the way food can bring people together while breaking boundaries. Houston based halal food blogger. Reviews outside Houston as well. A millennial blog about figuring it out all while travelling and eating really good food. We're all about approachable and realistic tips and tricks to improve your overall quality of life. rom simple recipes to my latest workouts, this page will be your one stop shop for wellness updates. "The Broke Foodie" is for the foodie on a budget. Curating recipes, restaurant reviews , and tips for those who have champagne taste and a beer budget. Showing you lots of delicious food, brunch spots - especially french toast, desserts, and my love for cars. 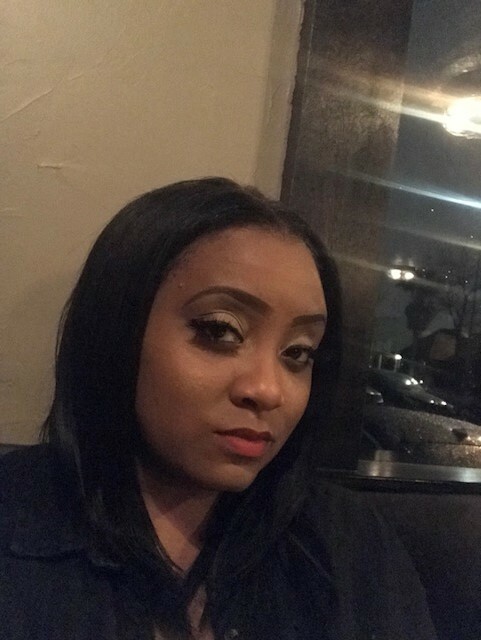 Ieatgood247 is a platform to share delicious foods from around the city of Houston and beyond, yet still finding ways to maintain a healthy lifestyle. I'm a Houston Texas Foodie who thanks God every day for my fast metabolism ! Follow me on my food journey. MEANINGFUL ACTS OF SHARING COMFORT FOOD: DeliberateFare.com provides recipes and hints to navigate you through easily creating comforting food that works with several food issues so that you can focus on what really matters—spending time with friends and family while eating well. The primary focus of Three Lumps of Sugar is to uncover the latest techniques and best bartenders and chefs in the greater Houston area. 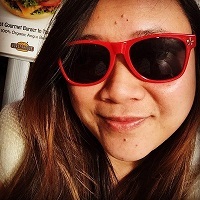 @lorilovestravel is used to share good eats and travel tips for your everyday foodie and traveler! My Instagram is to share with people all the good eats around Houston. Wholly Plants is a food and nutrition blog that compasses the how and why of consuming a whole food, plant-based diet. 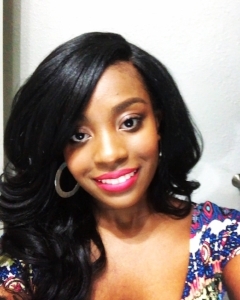 An attorney by day enjoying the Houston food scene and sharing her favorites! Houston food lover eating and photographing the best meals around the city. The mission of Fitfabfodmap is to be a resource for people wanting help on the Fodmap diet as well as want recipes that are healthy and delicious. A colorful blog celebrating Houston's fascinating food scene & diverse culture. Mostly restaurant guides, travel tips and boozy sips.. Restaurants, Food events along with major events in the entire city from theatre to arts, fashion, etc. Taming of the Spoon shares easy and tasty family friendly recipes with the occasional decadent dessert thrown in to keep things interesting. The Pancake Princess celebrates vegetarian recipes and alternative baking. Erika also does freelance restaurant reviews for Houston Press and Urban Swank. Hangry Woman is a blog that connects diabetics and people who want to live a little healthier and shares tips on how to make progress with your health, while still living a full life. Houston Food Fetish is a food blog focusing on restaurant reviews, at home recipes and travel. "A culinary journey that begins in Houston, but has no final destination." 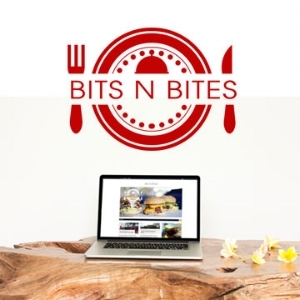 Bits N Bites brings my love of food, travel and beauty found in Houston and my travels to all! @Merci_Britte is a 20-something autoimmune disease fighter sharing her views on real food, health, and life. 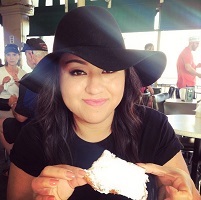 A foodie blog highlighting local spots in the Houston area and my travels! The mission of Haloodie is to connect the community with unique and exciting Halal food. I am a college student looking for the best eats around houston! I love to cook and entertain and I aim to focus on filling a room with good food, love, and making the most out of this great life! 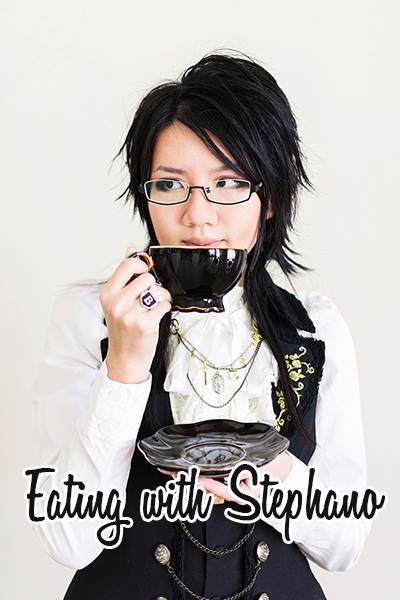 Eating with Stephano is a no limits food blog. Join Stephano in exploring Houston's diverse food scene. Lunch in Houston explores the cultural and culinary diversity of Houston through weekly restaurant reviews. Exploring the beauty and wonders of food through different channels . Booze & Butter is all about dining out an enjoying the best things life has to offer. Dash of Jazz is a food-focused lifestyle blog with Southern flair. Jazz serves up the right recipes, easy entertaining, and interior inspiration with budget-friendly, time-saving tips along the way! HankOnFood.com is about Great Food, Great Craft Beer and Cocktails, and the Great Folks who make them, in the Houston area and beyond. Heartful Earth Cuisine empowers and inspires people to eat healthy, nourishing and nutritious food. To use food as a means to promote health and wellness, learn to cook at home or use personal chef services to eat custom and healthy home cooked meals. The Hurried Hostess blog is for that woman who wants to have it all, but is short on time. We feature easy recipes, DIY craft projects, product reviews, and home entertaining ideas you can pull off in a snap! I focus on our local (Houston) restaurant industry as well as entrepreneurship, marketing & PR. 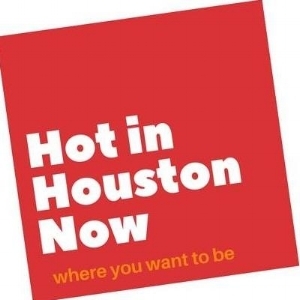 Yo Mariana is a Houston lifestyle bilingual blog. Discover the best of the city through my photos and stories. Two HangryHoustonians showcasing tasty restaurants around Houston! I take pictures of what I eat on instagram! I share stories about food and life as a food photographer in Houston. 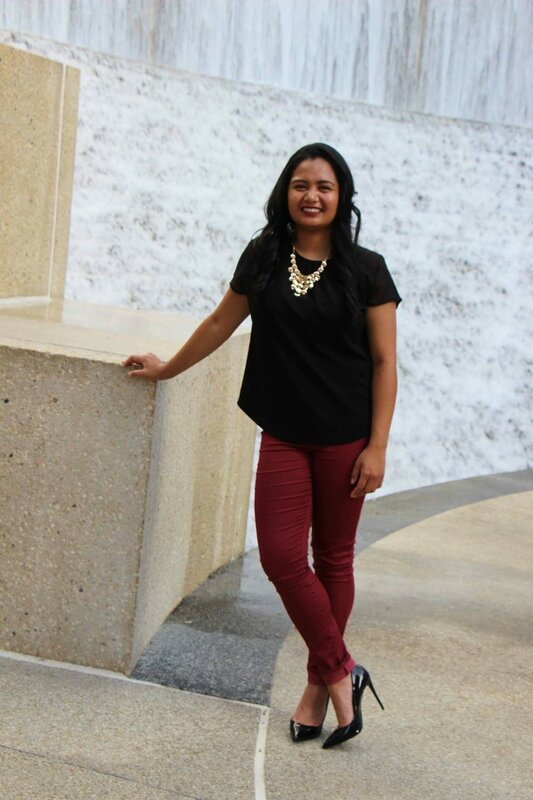 as Angelle is always on the go with traveling and running around Houston, many people often ask what’s good to eat? Or where is a good place to grab a drink? So she thought why not put it all in a blog?! 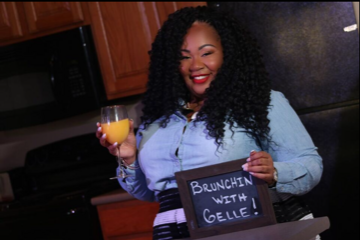 With a little mix of her new found love of everything beauty ‘Brunchin With Gelle’ is your new found fix! In search of delicious food all over the world! A blog dedicated to meeting new people who share the same passion for food! My goal is to inspire new friendships while promoting great local joints. The Sugar Vine's mission is to create unique and delicious wine and dessert pairings for you to enjoy . HoustonsGotSpice travels the world by eating in Houston. I explore international restaurants, festivals, and markets to encourage Houstonians to venture out and try something new. Estee Eatz was created in part by my love for movies and food. Supporting the local Houston food scene is my primary focus. Da'Stylish Foodie blog combines food, fashion and faith all in one. I love creating content to share with my followers and those looking for a little fun and restaurants, travel and a little glimpse into my world. My blogs are about different restaurants in the city that people haven’t tried and want an honest opinion about them. My blog includes foods from all over Houston, just eat from one side of the city to another and meeting new people along the way. Houston Food Blogger Collective mobile apps, businesses and social networks! Aces of Taste is hosts multi-course dinners and brunches featuring veteran and emerging chefs throughout Houston. Find the best places to eat in Houston and beyond with Food Clique. We share the hottest and newest places to visit, the latest foodie events and dining tips.